Genre/Influences: Electro-pop, electro-rock & pop, body-pop. 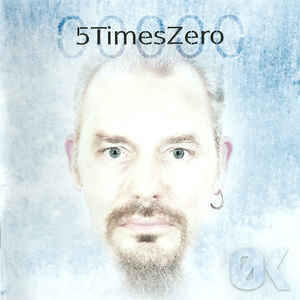 Content: 5TimesZero sounds definitely electronic, but covers different genres. It’s hard to label the band as one particular style, but the main source of inspiration sounds pop-like. 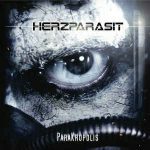 They’re moving from electro-pop to electro-rock, in the meantime experimenting with breakbeats to empower their work with EBM sequences while even touching groovy dance-pop ground. This work truly sounds like a sonic exorcism, but in the end it also creates a fascinating diversity of songs. There not only is a mix of different influences, but also a perfect balance between electronics and guitar. 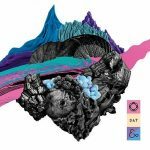 + + + : When I discovered 5TimesZero I got the impression there was much more potential hiding in this band then what I heard on the aforementioned EP. That’s precisely what this album tends to prove. I heard several cool songs and I have a preference for the more dynamic and somewhat breakbeat-driven cuts, which are sometimes empowered with guitar riffs. At the other side I still enjoy a groovier and danceable song like “Instrument”, which reminds me a bit of Right Said Fred. 5TimesZero brings the extremes together and the least I can say is that it works. “ØK” stands for diversity and is carried by a great singer. – – – : It’s nearly impossible to precisely define the music style of 5TimesZero and that’s maybe one of the single points about this band. They are more like dealing with multiple influences instead of belonging to an established music genre. Conclusion: 5TimesZero is a kind of sonic chameleon, which is mainly inspired by pop music, but experimenting with multiple influences on each song. But who cares, this is just artistic freedom and the only thing I can say is that it works! Best songs: “Instrument”, “Frozen”, “My Side”, “Don’t Push Me”, “Augen Der Großstadt”.